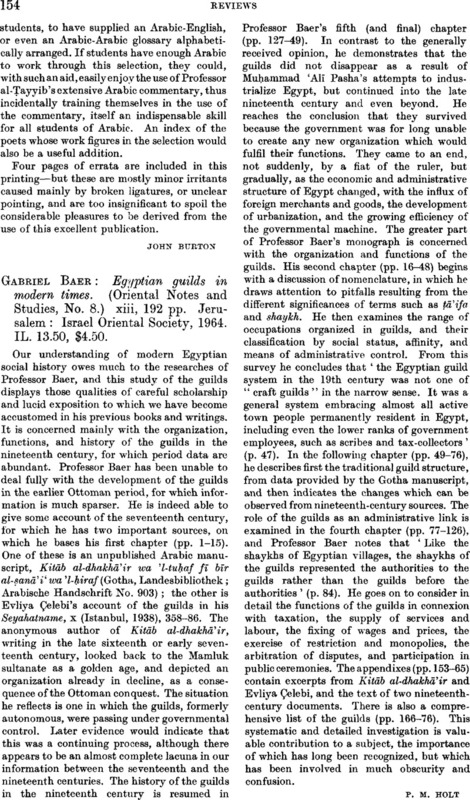 Gabriel Baer: Egyptian guilds in modern times. (Oriental Notes and Studies, No. 8.) xiii, 192 pp. Jerusalem: Israel Oriental Society, 1964. IL. 13.50, $4.50.